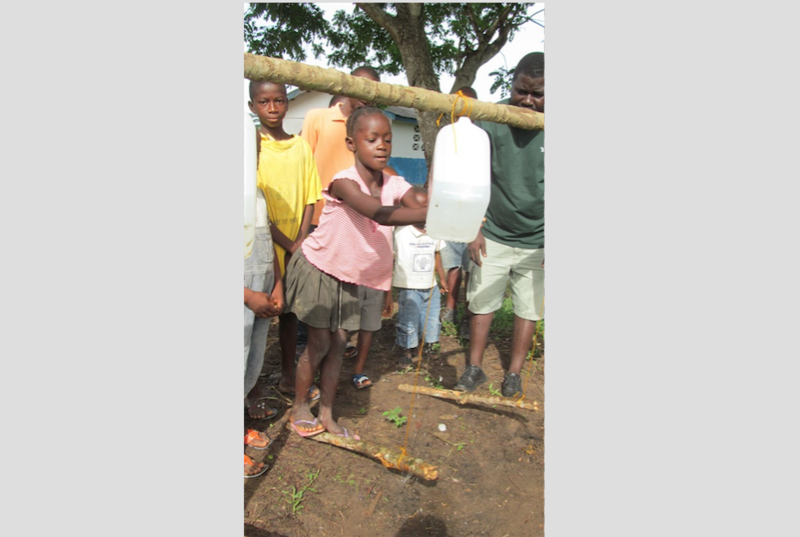 Making hand washing convenient, accessible (and fun!) 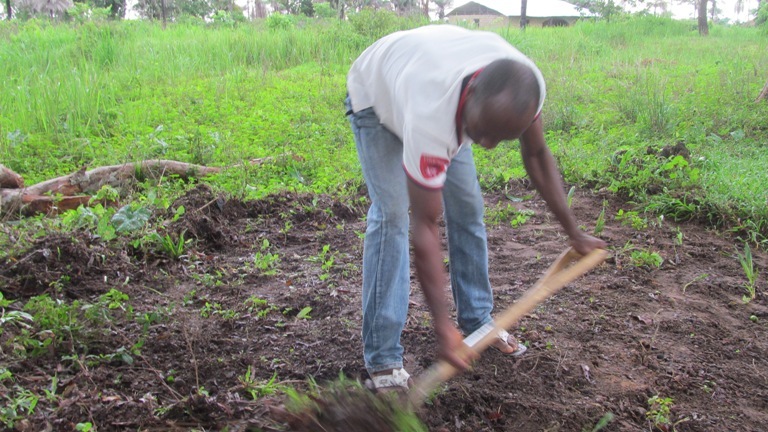 for communities in Sierra Leone. 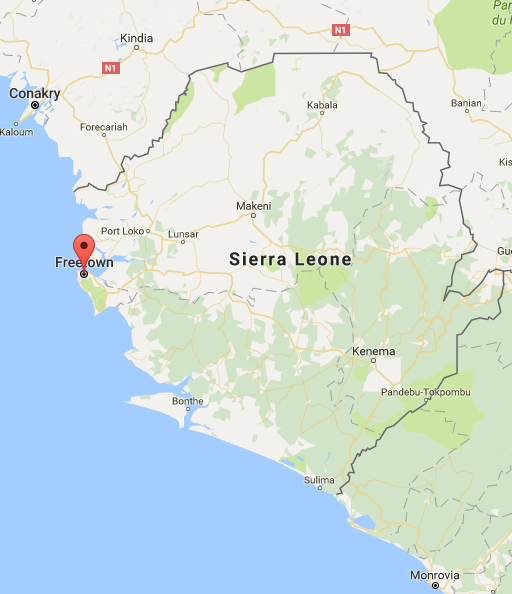 In 2014, Sierra Leone had the highest child mortality rate in the world, with diarrhea among the primary causes for death in children under five years old. 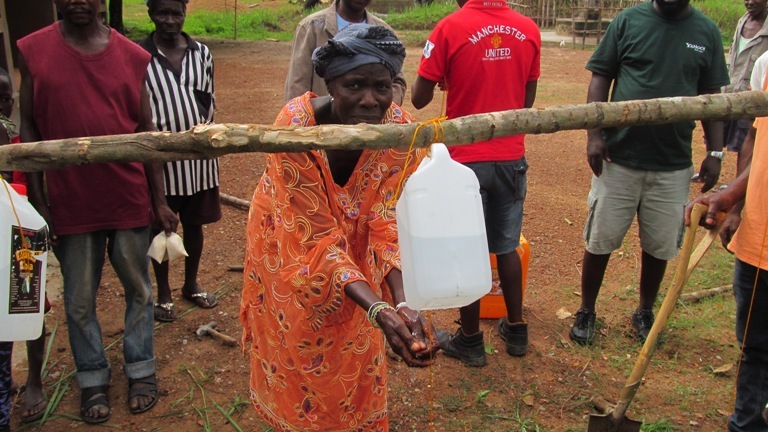 Further exacerbated by the recent ebola outbreak, Sierra Leone’s health crisis persists due to a lack of basic infrastructure, especially in the areas of water and sanitation. 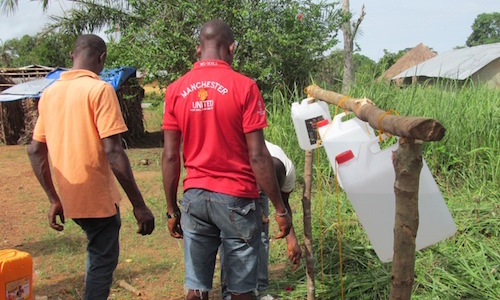 By simply adopting good hand washing practices, however, it is possible to greatly reduce the number of illnesses and deaths caused by preventable diseases and infections. 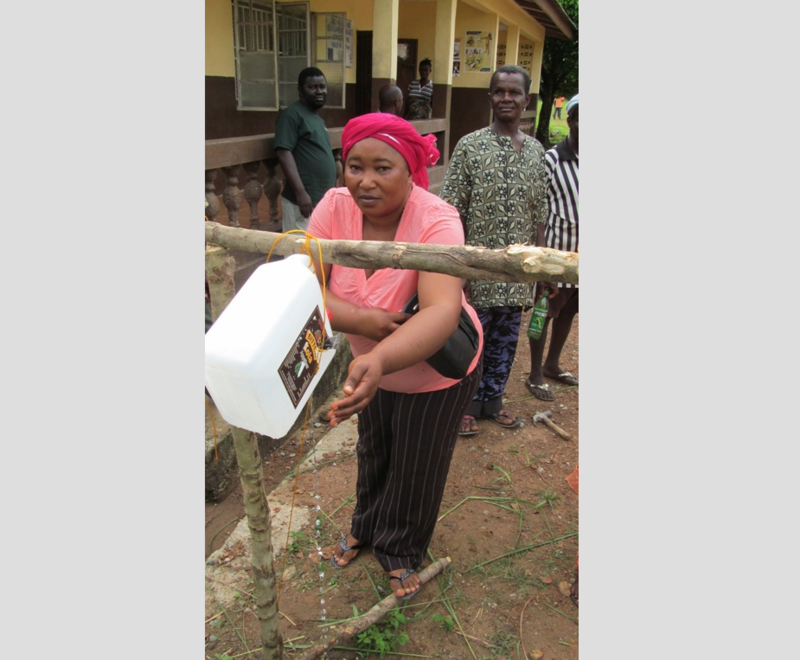 In partnership with COMIN-SL, a Sierra Leonean nonprofit organization, TEL is launching community-based handwashing initiatives by introducing a simple and practical solution: the Tippy Tap. 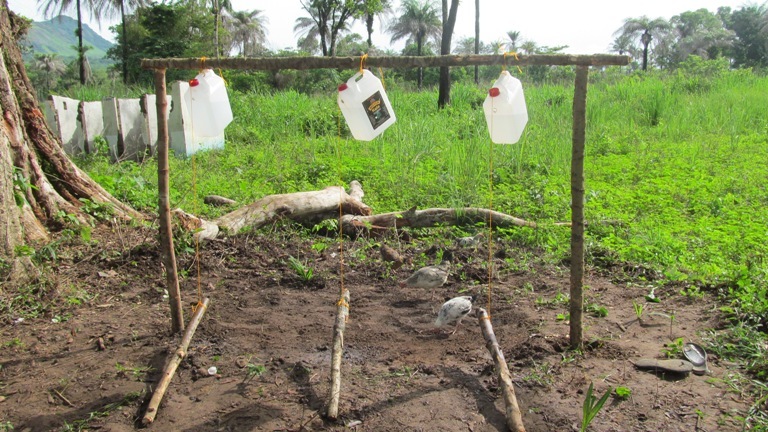 Built from a basic set of locally sourced components including sticks, string, soap and a water container, Tippy Taps are proven to encourage effective hand washing behavior, while also preserving scarce water resources. 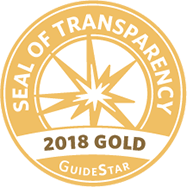 TEL worked with COMIN-SL to conduct community-based needs assessments, which led to the identification of the Tippy Tap as an appropriate and cost-effective solution. TEL also provided COMIN-SL with the necessary technical information for local implementation. 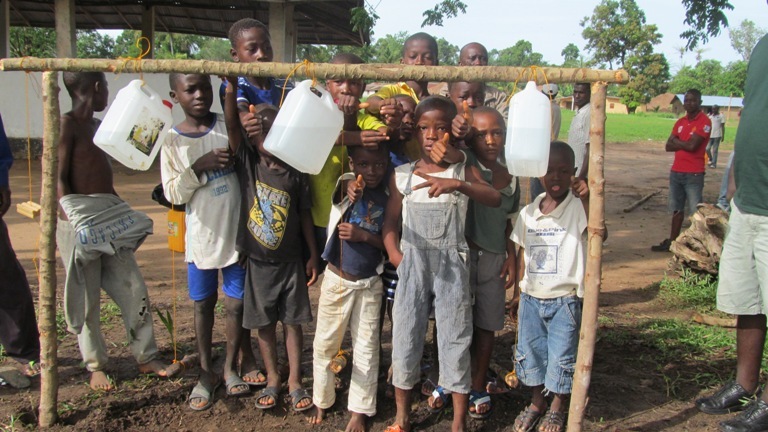 COMIN-SL installed two Tippy Tap hand washing stations within a primary school and a community health center outside of Freetown. Maintained by these two institutions, the Tippy Taps continue to serve over 400 community members. A finished Tippy Tap at the UMC primary school. 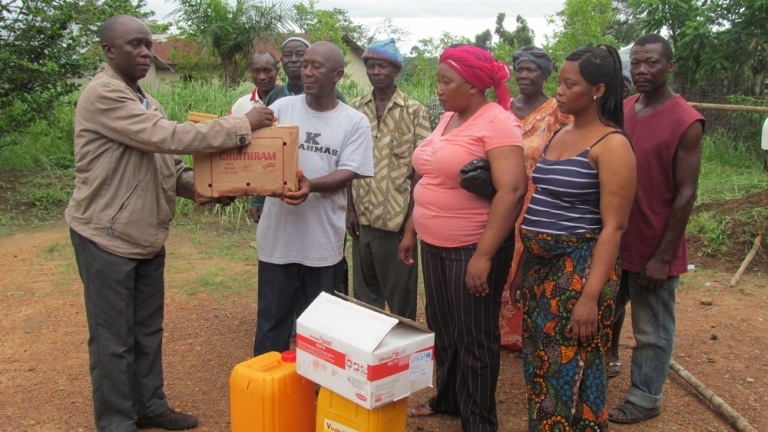 COMIN-SL executive director handing over soap to the head teacher of UMC primary school. Thumbs up for the Tippy Tap! A young girl learning how to use the Tippy Tap. 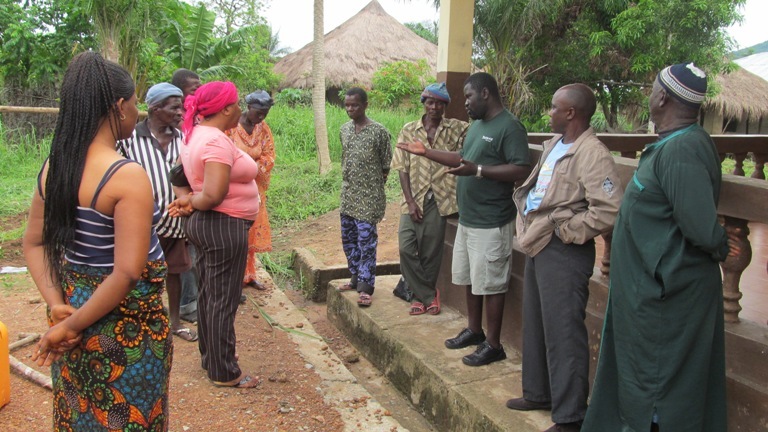 The project officer teaching the health center nurse, the head teacher and the village elders about the importance of using the Tippy Tap. Staff clearing the site for the construction of the Tippy Tap. The COMIN-SL project officer attaching the soap to the tippy tap rope. The health center nurse using the Tippy Tap to wash her hands. 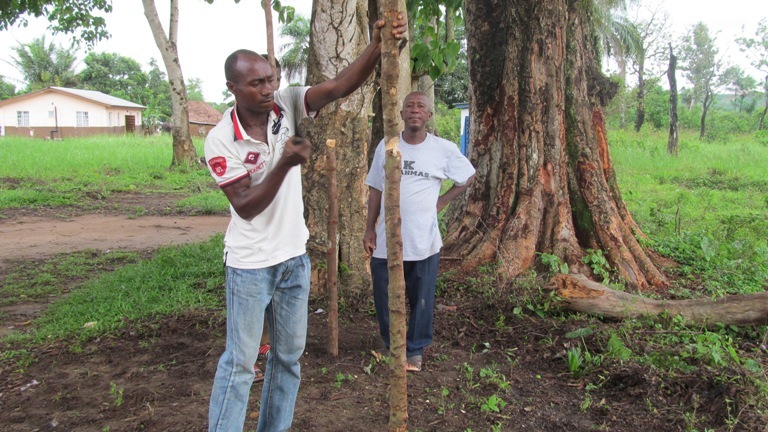 Staff constructing the Tippy Tap at the Lago Kori Health Center. 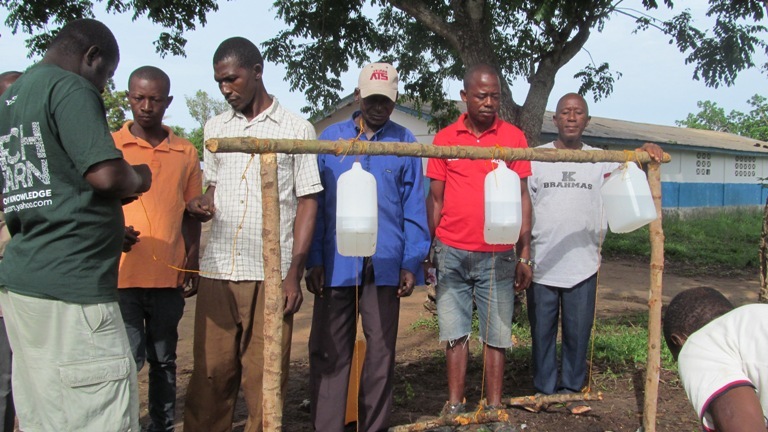 Staff constructing the Tippy Tap at the UMC primary school.